API, that is Application Programming Interface, is a programming interface offered by a software system. This interface has the role to integrate other programs. Other programs are offered a tool, so to speak, by means of which they can be engaged in the existing software system. 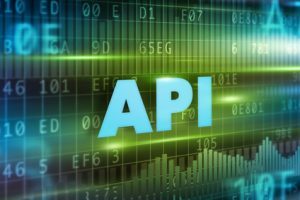 An API allows external developers to control hardware processes within the default system. You can consider a computer operating system with its pre-defined interfaces for user programmes to be an API. In this example, the operating system receives requests from various external programmes via the integrated libraries and redirects them to the hardware. As an option, we develop customised APIs for your company to be used with our advanced SmartRay laser sensors.